Fido feeling thirsty?. This water fountain for dogs is the perfect solution! This fountain provides a steady stream of fresh water, all Fido has to do is step on it. Water will geyser out and a cool refreshing blast will be available to enjoy! Keep the water in your pet’s Drinkwell®​fountain tasting fresh. NOTE: this is not the genuine Drinkwell®​product. Drinkwell®​ Original. Drinkwell®​ Platinum. Drinkwell®​ Big Dog. Drinkwell®​ Multi-Tier. Microfibre Pet Bowl Mat. This Microfibre Pet Bowl Mat is cushioned and features a non-slip backing. HEALTH & BEAUTY. PARTY & GIFT. WE'RE HERE TO HELP! We'll get back to you as soon as possible! You won't find cheaper prices anywhere! 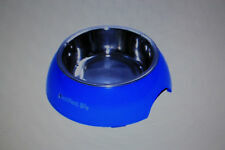 Shallow Stainless Steel Pet Bowl. Brilliant little bowls. Clean really easily. Opening hours. Height 2cm. Cat Food not included. Good quality Stainless Steel CAT Feeding Bowls. 8am to 6pm. Opening hours. Good quality Stainless Steel Cat Kitten Puppy Feeding Bowl. 8am to 6pm. Opening hours. Catfood Not Included. 3 PACK Premium Charcoal Filters for PetSafe Drinkwell Fountains Pet fountain. Condition is New. Dispatched with Royal Mail 2nd Class. 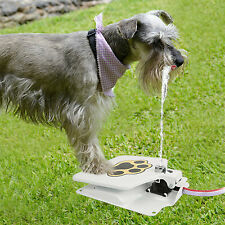 Food and Water Pet Bowls Automatic DrinkRefill Dispenser Small Dogs Cats Pets Non-Slip Silicone Bottom Easy To Clean. Double Pet Bowls Feeder Automatic Waterer, Water Bottle Dispenser Portable Dog Cat Food and Water Dispenser Feeding Bowl. Yum, Crunch, Chomp, Munch, Tasty, Nom. We make Handmade Pet Toys As well we have been making them for over 25 years. Can be used for food or water. Good for Cats, Kittens, Puppies and other lovable pets. This sale is for a decal only and NOT the bowl. Remove the backing sheet so that the stickers are stuck to the transfer paper. Best working from one corner to the opposite corner at an angle. If the decal wants to stick to the backing sheet, slowly manipulate the bottom layer to help the decal to stick to the transfer paper. 2X PERSONALISED. Remove the backing sheet so that the stickers are stuck to the transfer paper. Best working from one corner to the opposite corner at an angle. If the decal wants to stick to the backing sheet, slowly manipulate the bottom layer to help the decal to stick to the transfer paper. Ethical Pets-Two Tone Color Fish Shape Design Stoneware Dish Perfect for your cat! This package contains one 5x6-1/2x1-1/4 inch fish shaped stoneware dish with color on the inside and solid black on the outside Imported. . Remove the backing sheet so that the stickers are stuck to the transfer paper. Best working from one corner to the opposite corner at an angle. If the decal wants to stick to the backing sheet, slowly manipulate the bottom layer to help the decal to stick to the transfer paper. Petrageous Designs-Vintage Stoneware Pet Bowl: Meow, 2 Cups Hand-crafted stoneware is dishwasher and microwave safe Bowl is 5 inches in diameter and 2 inches deep Imported. .
2 x Personalised Pet Bowl Decals. All of our decals are precision cut from single colour, high quality, external grade vinyl. The background colour will be the colour of the item you apply it to. Our decals can be applied to any smooth non-porous surface. 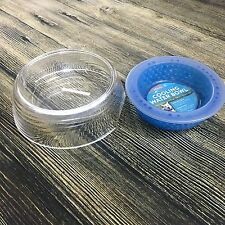 EASY TO USE: These pet bowls for cats are more durable than ceramic cat bowls. Dishwasher safe. Do not microwave. 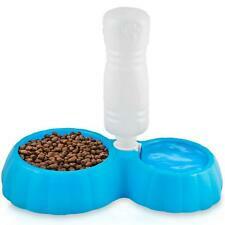 Suitable for wet food, dry food and water. Silent, Porcelain-like design Cat Bowls, shiny, tactile, no noise while using, (unlike stainless steel bowl);. plastic dispenses fresh running water motivates the pet to drink reduces bad smells and provides optimal taste enriches the water with oxygen cold water through circulation active carbon filter ensures an improved water quality transparent tank for content checks very quiet operation makes it also suitable for pets sensitive to noise . Fish-Shaped Cat Bowl & Toy Set. 5.5" Printed Melamine Cat Food Bowls Give your furry friends an adorable dish to full of delicious kitty food. Melamine cat bowls measure 5x1.25 in. and are the perfect size for feeding cats. HAND MADE CAT FOOD DISPENSER-WOOD-12 INCHES-FREE SHIPPING !